The Des Moines Catholic Diocese released the names of nine priests with “substantiated allegations” that they had abused children while serving at parishes in the diocese. The list includes the names of two priests who had not previously been made public. Both have died. Bishop Richard Pates today said victims and church members deserve a “full accounting” and Pates said he’s tried to be “a bulldog” on the issue. “The behavior by some clerics and church leaders is a source of shame,” Pate said during a news conference late this morning. 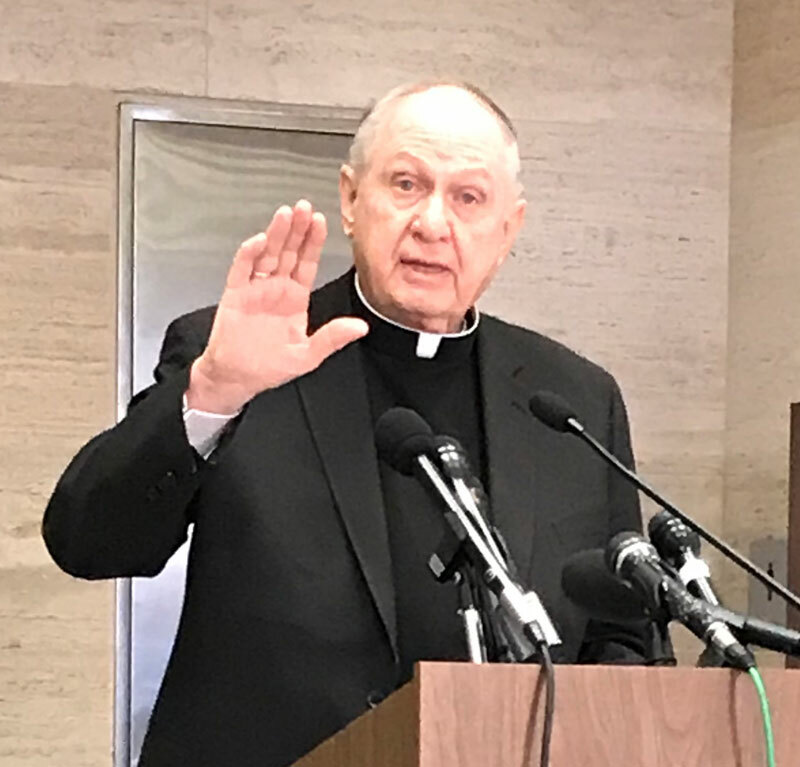 Pates said the Des Moines Diocese established a child protection policy in 1988 and has had a zero tolerance policy when it comes to child sexual abuse for nearly two decades. 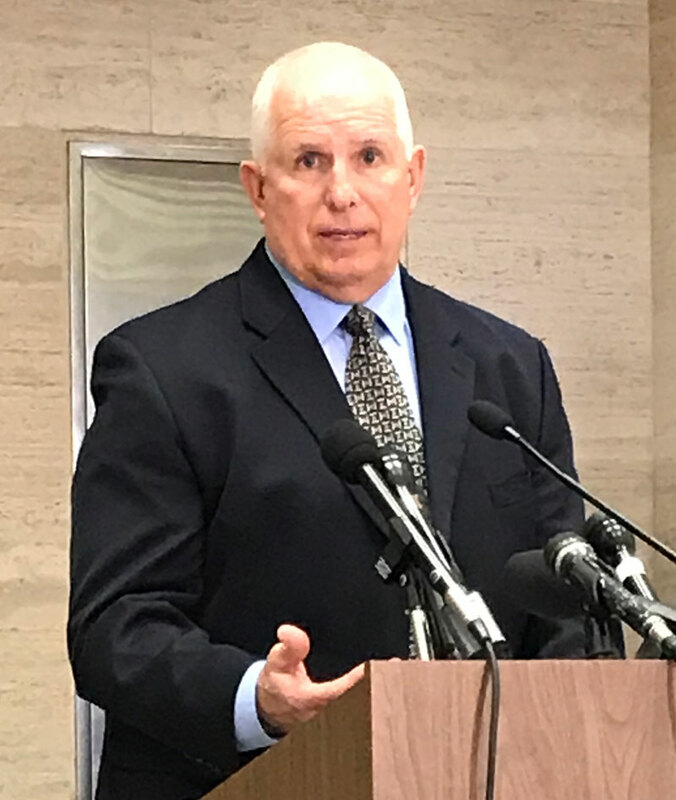 Pates told reporters society, the medical community, law enforcement and the church did not fully understand the issue of child sexual abuse in the 1960s and ’70s. Pates estimates about two-thirds of the Catholic Dioceses in the country have released similar lists. Pates, who announced his retirement recently, said he wanted this list released before the pope names his replacement. Waukee Police Chief John Quinn, a life-long Catholic, is part of the Allegation Review Committee in the Des Moines Diocese. “I’m happy to say that the steps the church has taken have been proactive and they have had the ability and the affect, I hope, to rid the church of this, really, plague,” Quinn said. Earlier this year, the Sioux City Catholic Diocese released a similar list of priests who had been credibly accused of abuse. The Dubuque Archdiocese released a list several years ago. The names of accused priests in the Davenport Diocese were exposed during court proceedings. The Diocese filed for bankruptcy in 2006 and has paid out $37 million to more than 12 dozen victims.